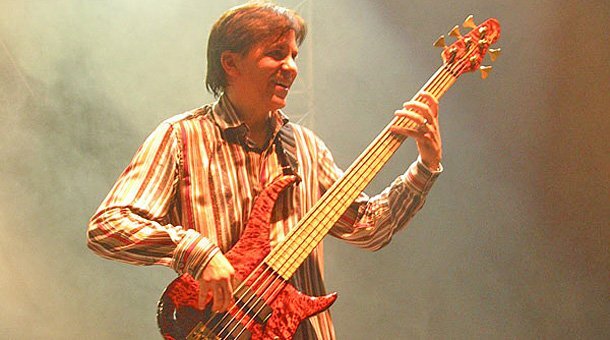 Toto bass-player Mike Porcaro has died at 59 after a long battle with motor neurone disease (MND), also known as ALS. The rock band is best known for its hits Africa and Rosanna. The band’s keyboardist Steve Porcaro said in a statement that his brother had died peacefully in his sleep at home, surrounded by family. Michael Joseph Porcaro passed away on Sunday, March 15. Toto, which broke up in 2008, reformed in 2010 to raise money for Mike Porcaro and raise awareness of his illness. Also known for the hit Hold the Line, Toto sold 35 million albums. Toto guitarist Steve Lukather wrote on Facebook that Mike Porcaro was “now at peace”. Motor neurone disease, also known as amyotrophic lateral sclerosis (ALS)or Lou Gehrig’s disease, is a rare condition which attacks the nervous system.